In 1922, two British archaeologists have discovered a stunning collection of over 3,000 year old burial treasure. On November 26, Howard Carter and Lord George Carnarvon worked together to open the tomb of Tutankhamun, the pharaoh of Egypt, thought to have died in 1323 or 1324 BC. 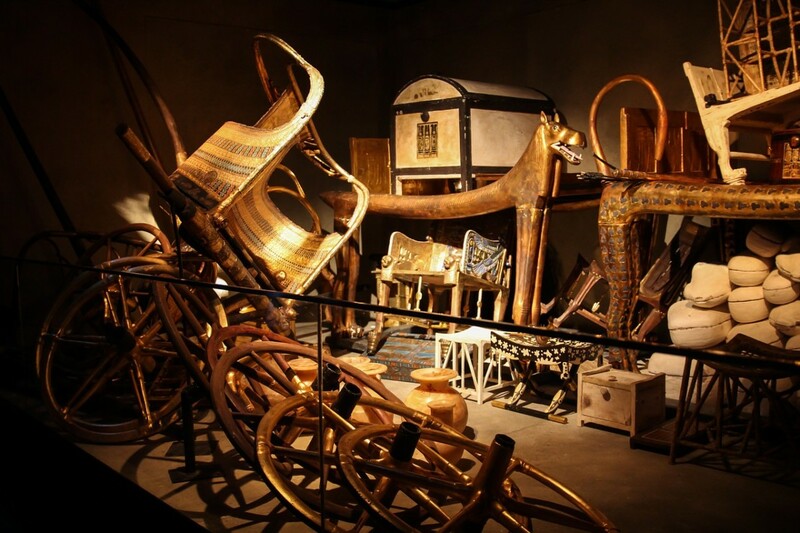 The tomb uncovered more than 5,000 objects, many in pure gold, and others were statues, thrones and sophisticated furnitures. It took about six years to complete the excavation, and funding was provided by Lord Carnarvon during those periods. 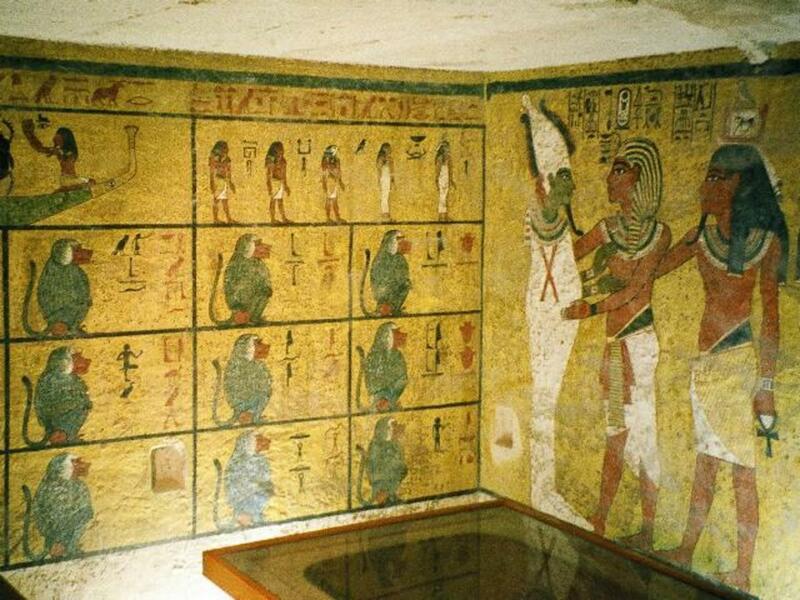 The tomb discovered was located in the Valley of the Kings, near Luxor in Egypt, and the place had several rooms. Pharaoh's body was preserved as a "mummy" in the burial room, a technique the ancient Egyptians used to preserve the bodies of the dead. Tutankhamun's mummy is encased in three special coffins (called sarcophagus), and the mummy's head appeared to be a solid gold mask. The funeral mask is the world's most recognizable facial artifact. It exhibits the Pharaoh as Osiris, the god of the underworld in ancient Egypt. 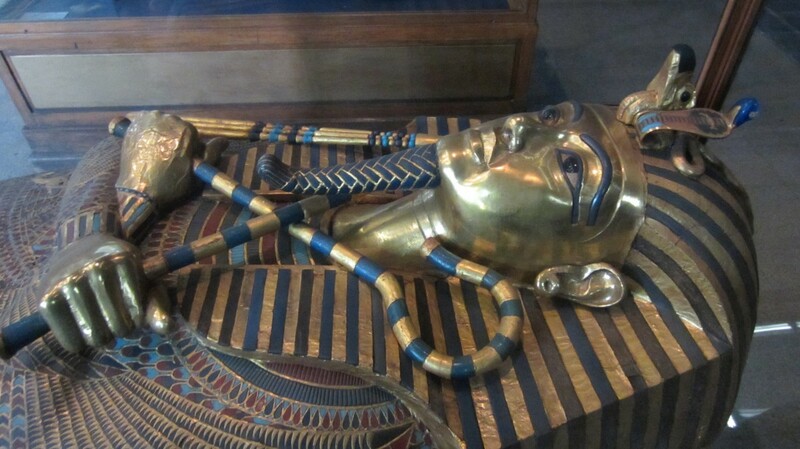 Hundreds of pieces of jewellery are inside the coffin and wrapped into the mummy. 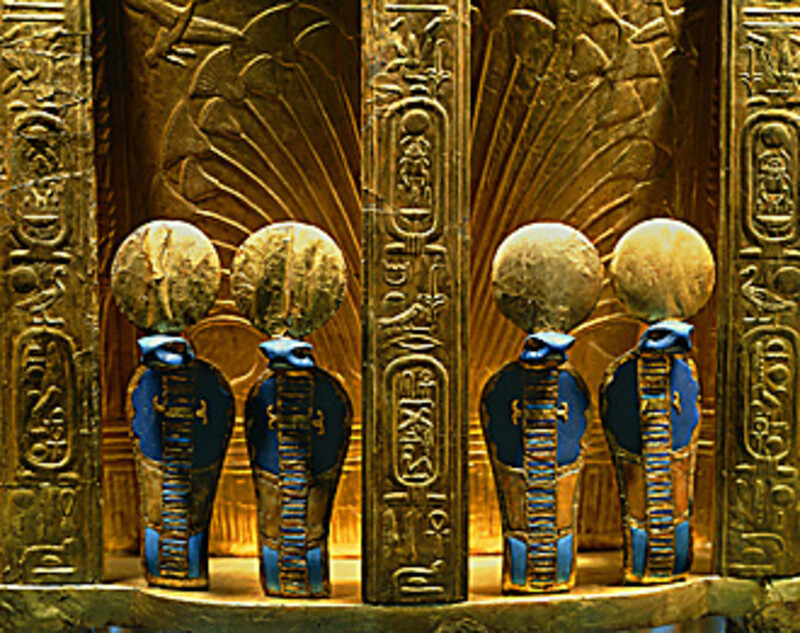 The tomb's other chambers had weapons, drinking vessels, statues and even a chariot believed to be used by Tutankhamun. One of the drinking vessels, made of alabaster, shows Tutankhamun as a white lotus flower. Its inscription portrays the hope that the pharaoh will spend thousands of years sitting with his face to the cool breeze, and his eyes beholding to bliss. 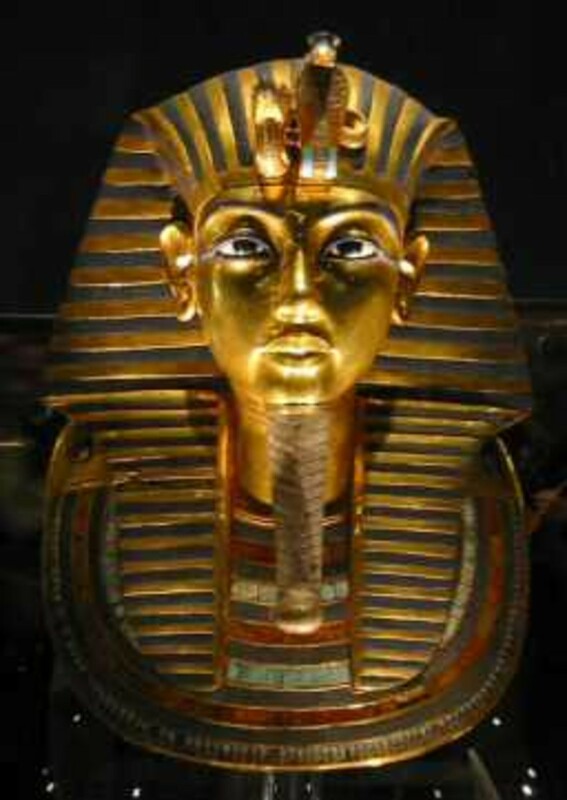 Tutankhamun is thought to have reigned for 8 or 9 years at the throne and died at his late adolescent age. The pharaoh was the son-in-law (or could be biological father) of another pharaoh called Akhenaten, who oversaw changes in religious custom to the worship of one god and one god only (named Aten). However, Tutankhamun restored idolatry, a religion of worshipping many deities and hardly achieved anything else apart from that. His name is not well known to history buffs, but time has changed a lot in recent years where historians are taking further interest in ancient history of Egypt. The tomb of the boy king wasn't that big compared to other pharaohs tombs discovered in Egypt. The tomb consisted of four rooms which are the antechamber, annex, treasury and the most important burial chamber of the king. 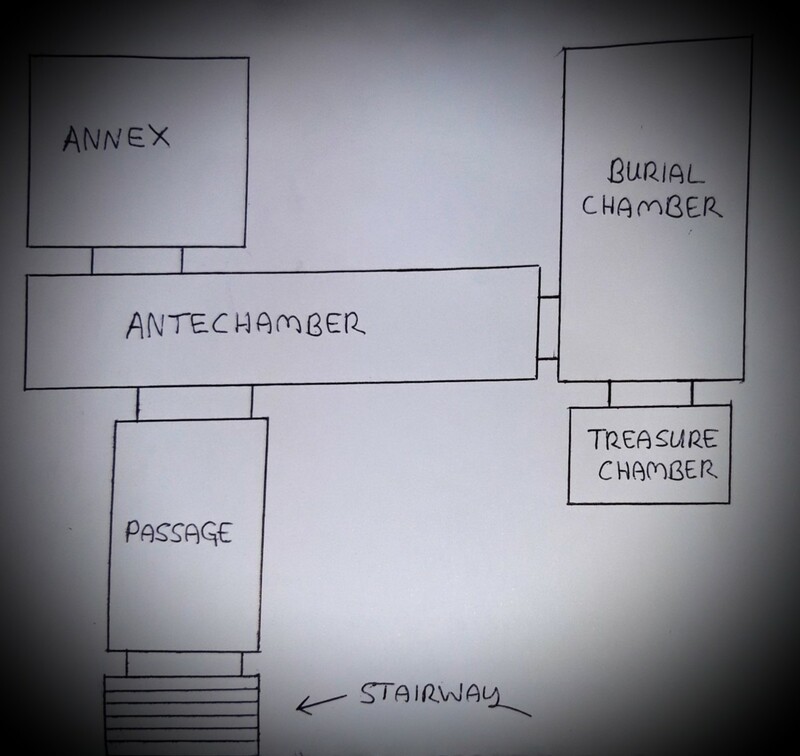 The antechamber was the first room observed by Howard Carter. According to his evidence, tomb robbers had tried to gain access twice to the tomb due to cracks and damage on the doors. They didn't loot much items or hardly anything at all as believed, instead they repaired the doors the way it was before. The tomb raiding robbers thankfully left everything else intact. The antechamber contained pieces of chariots and some funeral beds. The crucial burial chamber contained the sarcophagus and the mummy. The treasury chamber contained canopic jars, model boats, paintings, a throne made of gold, a crown, the king's sandals and much more precious items. His sandals even had his enemies imprinted on the soles, so wherever he walked with his footwear, he would trample over them. This treasure chamber had everything the king would need in his next life. The other room was the annex, the smallest one in the tomb and was named by Carter. 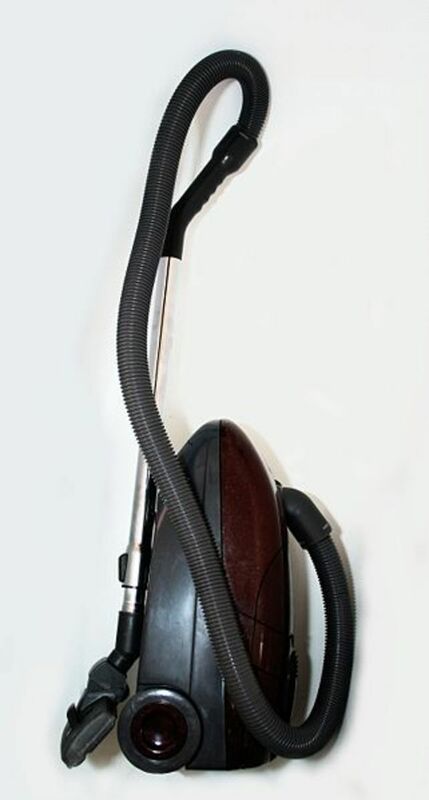 It was the last room to be documented by him due to the untidyness of it. 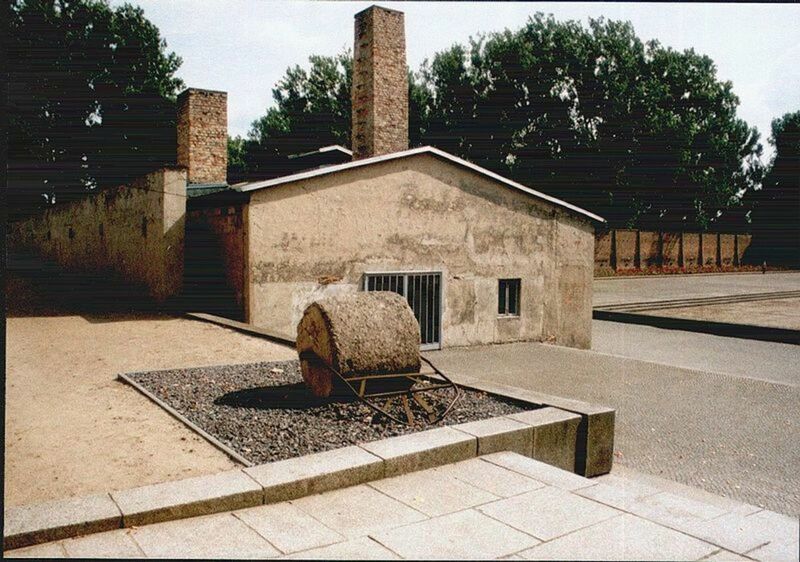 The annex contained several items such as foods, wines, oils, baskets, pottery, tools, cooking utensils, cutlery, clothes, board games and other everyday items which the pharaoh needed to live. A major theory suggests that the tomb robbers probably made the mess in the annex after they've been caught by local authorities in the area. They then had to put back all the items in the room in a quick disorderly state. However, some pieces from the board games made from gold and silver seemed to be missing and were never found in the tomb. There were rumours everywhere that the British archaeologists invoked an ancient curse when they dug up the tomb of Tutankhamun. The great legends, and the people of Egypt believe the archaeologists have broken and unleashed a powerful curse which forbids the disturbance of the kingdom of the dead. Some ancient inscriptions gave out a message of threatening disasters to the future people who come to violate and unravel the mysteries of the tombs. Howard Carter and Lord George Carnarvon have been searching exhaustively for Tutankhamun's tomb for a decade and they nearly quit in their work. They did however, plan to excavate the tomb with extreme diligence after the discovery. There was huge speculation that Lord Carnarvon was cursed by the pharaoh because he died a few months later on April 1923, due to the violation. It was believed he got bitten by a mosquito by the Nile River in Aswan in February 1923 that caused him to feel unwell and led to blood poisoning. He also suffered from a road accident in 1901, two decades before the excavation, that made him weak with chest infections, so this pharaoh's curse is debatable. Whether people want to believe King Tutankhamun's curse is real, fake or coincidental, there were several more others who also faced serious consequences after Lord Carnarvon's death. These unexplained incidents added more views and interest to the debate of pharaoh's curse. A good friend of Howard Carter in the name of Sir Bruce Ingham encountered problems when he was given a paperweight with a mummified hand wearing a bracelet. The bracelet was thought to hold a curse with some form of inscription on it done by the ancient Egyptian priests during the burial of Tutankhamun. After Carter gave the paperweight, Sir Ingham's house was burned down a few months later. When he tried to rebuild the house, a severe flood occured and destroyed it. 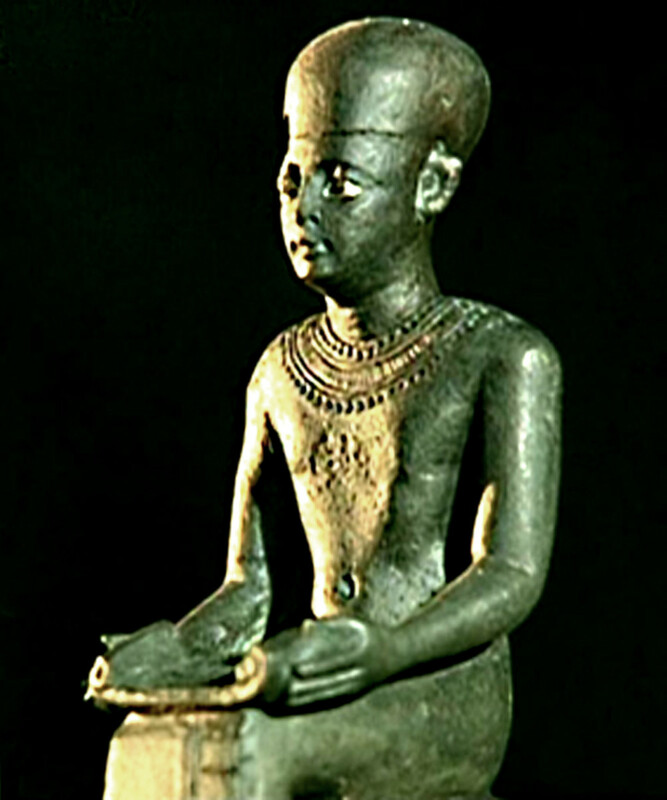 An American archaeologist in the name of James Henry Breasted was also believed to be cursed by the pharaoh. He worked alongside Howard Carter and his team to assist with the excavation of the tomb. Shortly after the discovery of the tomb, he returned home in New York and was shocked to see his pet bird eaten by a cobra in its cage. The cobra was still in the cage allegedly. As we know, the cobra is a symbol of ancient Egyptian rule, and many pharaohs had cobras attached to their headdresses for protection. 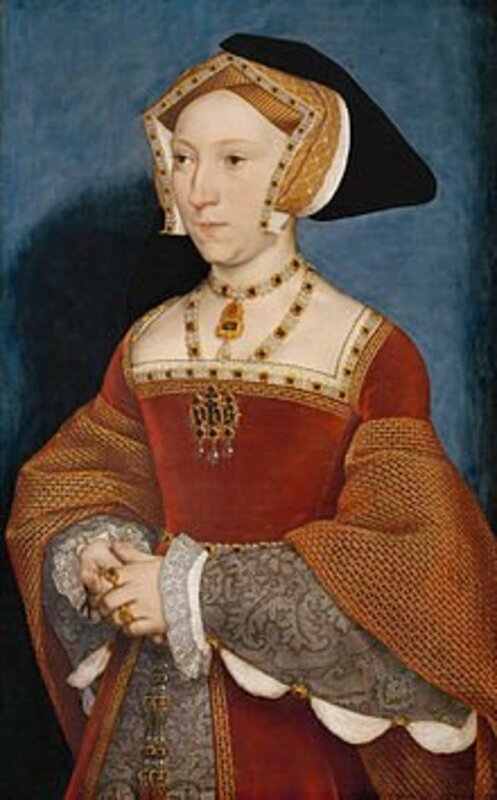 That also includes cobras attached to royal furniture and royal buildings. This cobra curse may be the reason why the bird was eaten, and news about the cobra in the bird's cage is not exactly known what happened to it. Breasted died when he went for another visit to Egypt in late 1935 which made it further news about his unexpected death and the curse. A radiologist in the name of Sir Archibald Douglas Reid died from an unknown illness shortly after attempting to do an x-ray examination on Tutankhamun's body. He had no connection with the excavation team and didn't get involved with the excavation work, which proved the curse can hit anyone who gets in contact with the pharaoh's body. Other mysterious deaths happened to a few more people who had links with the excavation team. Their deaths are also related to unknown diseases and strange disasters due to the so-called curse brought on by Tutankhamun. But what about the main man Howard Carter? Howard Carter was the man who finally lifted the lid of the coffin in the first place on February 1923 to witness Tutankhamun, so why wasn't he cursed? According to certain news sources, Carter never believed that a curse existed. Even though he was responsible for the discovery of the tomb, he never came across any unexplained or unexpected illnesses. No strange disasters happened to him and his house was fine. He died of cancer at the age of 64 in March 1939, which was 17 years after the tomb's discovery. The death was considered as natural without any doubts a curse may have struck him. Also, his tombstone has connections with archaeology with messages of goodwill written on it for his accomplishments in Egypt. 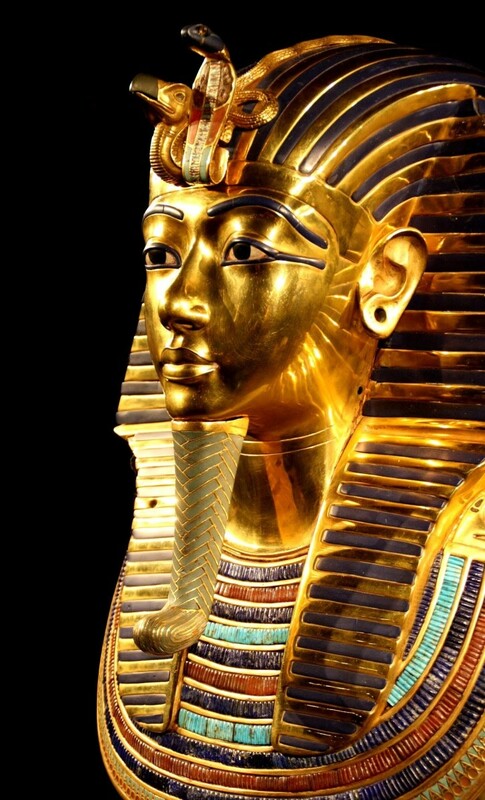 Did King Tutankhamun forgive Howard Carter? Probably did and showed some mercy on him. Sometimes kings do allow generosity to some people. It's a way of expressing gratitude for exposing them to their old world thousands of years later. Carter was chosen by Tutankhamun to find him without being cursed. End of the day, we all have our own opinions and we are free to decide if this curse existed or not. Do you believe in Tutankhamun's curse? A decade before the discovery of Tutankhamun's tomb, a German archaeologist named Ludwig Borchardt has found a 3,000 year old sculpture in almost perfect condition on 7 December 1912 in Egypt. 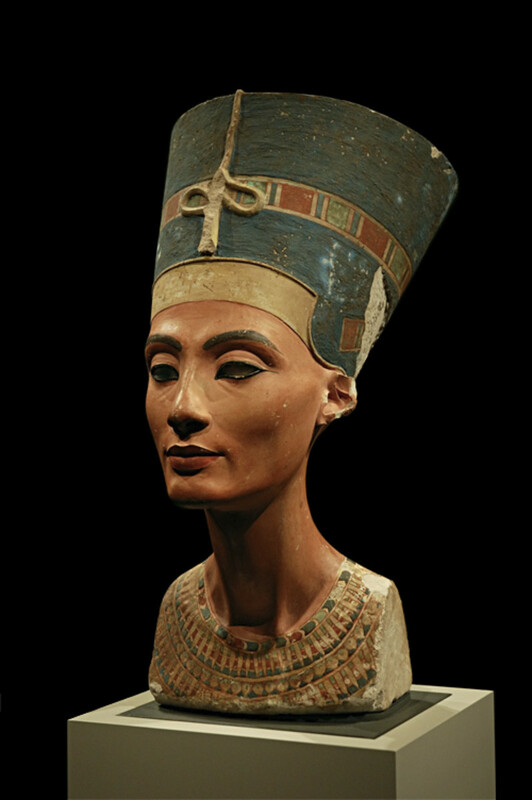 It was a bust of Queen Nefertiti, and was made in limestone and stucco. She was the wife of the ancient Egyptian pharoah Akhenaten who ruled Egypt for 17 years before Tutankhamun came to power. Nefertiti could very well be the biological mother of Tutankhamun according to some Egyptologists. The sculpture was found in an archaeological site called Amarna, a region thought to be built by pharaoh Akhenaten to worship the sun god Aten. Most of the ancient Egyptian sculptures are painted due to strict set of rules in Egypt that make everyone look almost identical according to historians. 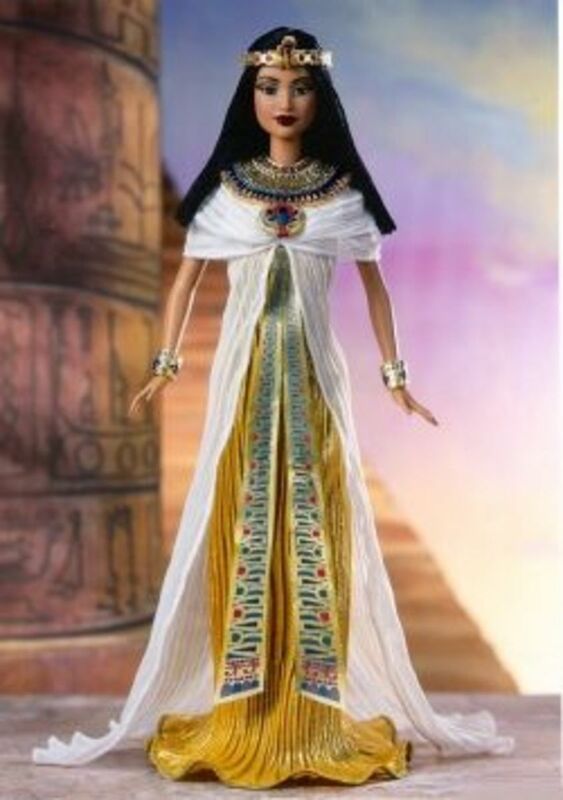 However, this beautiful sculptor of Queen Nefertiti surely allows her regal personality to shine and come through. In fact, the sculpture may well almost be the first genuine likeness of a person. The sculpture is presently located in the Neues museum in Berlin, Germany. The embalming of mummies began in Egypt in 2500 BC. The mummies of pharaohs were buried in boats because the Egyptians believed this would help them travel to the next world. A group of funeral urns, called canopic jars, were used to contain the organs from a body before it was embalmed. A study of modern CT scans and DNA tests revealed that Tutankhamun suffered from fatal malaria and a deformed foot that looked twisted and made him use a cane for walking. 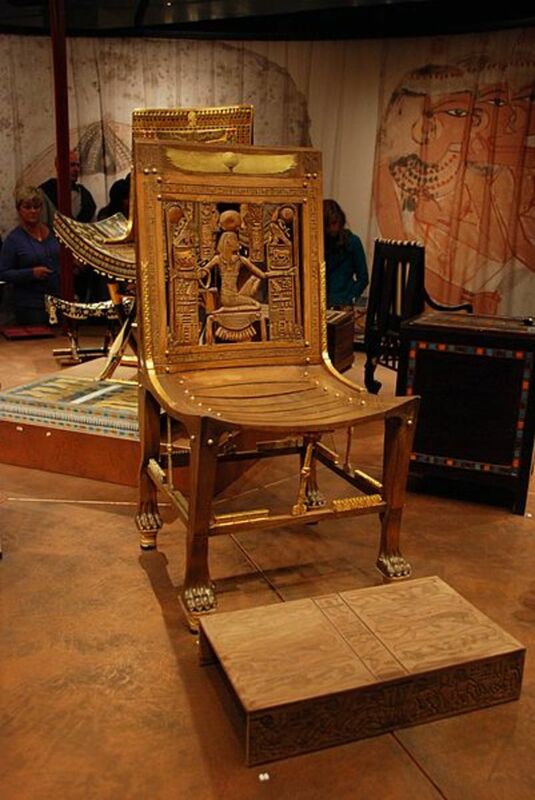 There were signs of damage to the chest and legs of Tutankhamun. Experts suggest he may have been involved in a hunting or chariot accident, maybe fighting in a war or even murder. Tutankhamun was known by other names such as Horus, Two Ladies, Golden Horus, Nomen and also King Tut. His first original name was Tutankhaten. Tutankhamun ( Tut-Ankh-Amun) means Living Image of Amun. 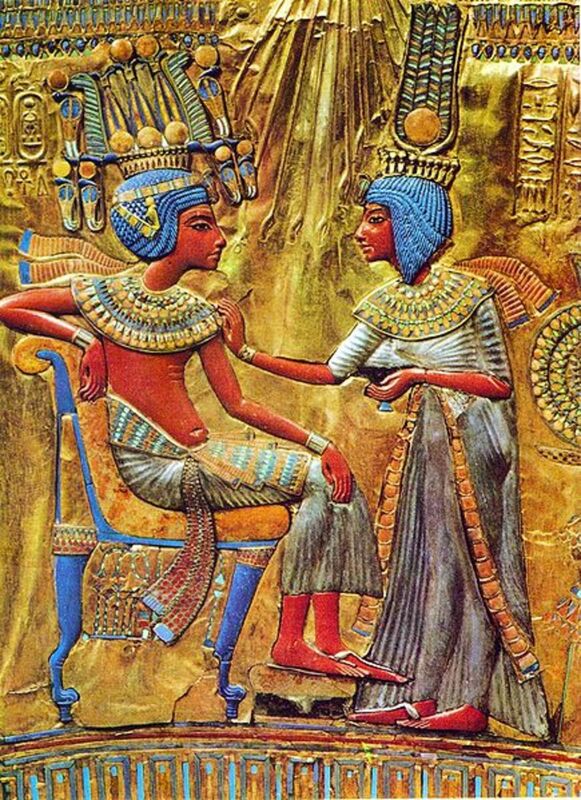 Akhenaten (the father of King Tut) means Beneficial to Aten. Aten was the name of the Sun disk god which the pharaoh Akhenaten worshipped. Tutankhamun married to Ankhesenamun, his half-sister and cousin and the daughter of Akhenaten. Tutankhamun was buried in such a manner that the tomb's entrance was facing towards the Orion constellation in the sky. Orion was thought to be the soul of Osiris, the god of the afterlife, and the ancient Egyptians believed Osiris will continue to watch over King Tut. Great article. Wonderful bit of history about Tutankhamun. Hope to visit Egypt one day and explore. Thanks. This is truly a fascinating discovery of the boy pharaoh. I really like the subject and the mummy's history, especially other past kings of ancient Egypt and how they were mummified. This is a great detailed blog with a lot of good facts about it. Thanks for the comment fpherj48. Egyptology also fascinates me, I would love to go and visit the Valley of the Kings someday and see the tombs. Thank you for sharing this fascinating information about King Tut. I’ve always been interested in the topic. You highlight a fascinating archaeological story. This was one of the greatest finds of the 20th Century. I like the histrocial background you give to this often visited place. It gives meaning to what we see. I find the facts you included very interesting. I think that Tutankhamun and his tomb are very interesting topics. Thank you for sharing the information about the pharaoh, Zia. There are really ancient beliefs about we should not disturb or get the possessions of the dead. They would curse or hunt you. But yeah you are right. It is still debatable. But, if we are trying to connect it to the belief that human beings have spirit and soul which would remain alive after death. Then it could be possible if spirits could possible affect living human beings. Interesting hub Zia! !